As a follow-up to my homemade bread article, it’s the perfect time to share a simple recipe with bread as the main ingredient. They’re yummy. I would like to think that my salads are already delectable, but I reignited Matt’s interest in salad when I threw together some homemade croutons using the recipe below. Salad can be boring, but homemade croutons are the perfect way to spruce up a pile of (yawn) lettuce. They’re basically free. In the past we have purchased bags of organic croutons, but they were hard to find and usually more expensive than their non-organic counterpart. They’re easy. Making your own is sooooo cheap (especially if using the dry, semi-stale pieces nobody wants to eat). You’re in control. 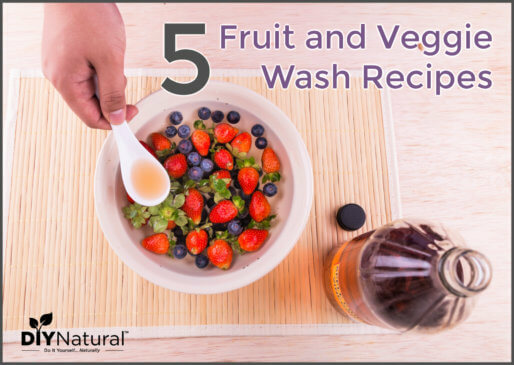 You can control what goes into the recipe, using quality ingredients based on your dietary needs, and putting a flavorful spin on each batch with some fun add-ins. 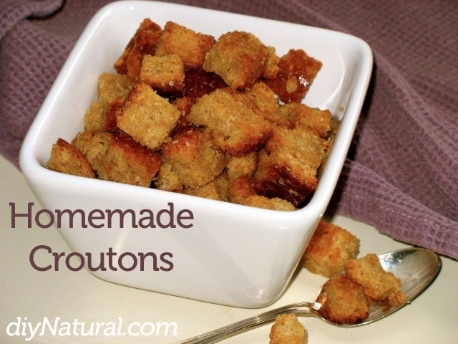 I dislike the crusty, end pieces of bread (we call them brunt(s)), but find they are perfect for croutons. It all turns out crunchy in the end, so it doesn’t matter which pieces you sacrifice for the cause. Use only a few rejected pieces of bread, or dedicate an entire loaf to making croutons if you want a large batch. Put bread cubes into a large mixing bowl, slowly drizzle in olive oil (just enough oil to lightly coat each cube), and toss to combine. Sprinkle in salt, tossing to mix. Spread bread cubes evenly on a baking sheet and bake until crispy and golden – about 15-20 minutes – turning once halfway through. Allow croutons to cool on the pan. Store at room temperature in an airtight container. Croutons will last several weeks. 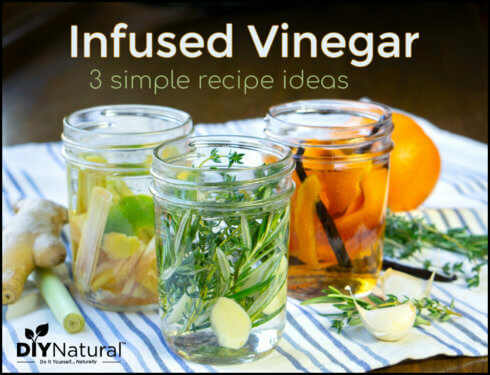 Herbs – I like to add about a teaspoon of our own dried herbs, thyme, basil, or rosemary from last year’s garden (find organic bulk herbs here). Spices – Try a little garlic or onion powder (about ¼ teaspoon of either or ⅛ teaspoon of both), and a few cranks of fresh cracked black pepper. Cheese – Sprinkle on a teaspoon or two of fresh grated parmesan reggiano. Shelf life is not as long – eat cheesy croutons within one week. 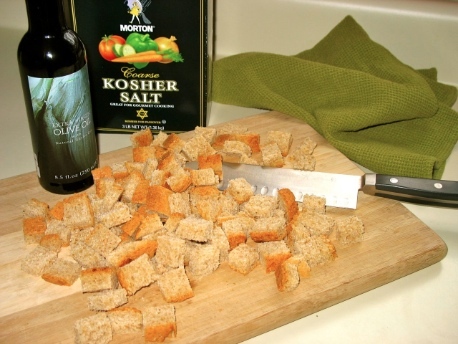 Be sure to use quality ingredients, starting with a great loaf of bread, and crunch into a little bit of satisfaction when you eat your homemade croutons! I make croutons out of english muffin bread that I make and they are SO GOOD. It’s ridiculous. Giada DeLaurentis makes a crouton salad that is mostly croutons, tomatoes and other yummies – I gotta hunt that one down. Haha…we always love that awkward moment when croutons are so loud that you can hear them all the way across the room! 🙂 English muffin bread croutons sound divine! Yep, love that sound. Bagel croutons sound good to me… I think I’ll try that.